The K-Sun Green Machine label printer system showcased at the National Electrical Wire Processing Technology Expo in Milwaukee May 9-10. 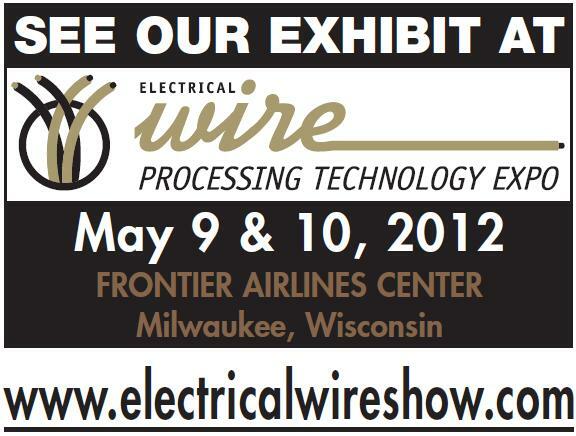 March 13, 2012 - PRLog -- MARCH 13, 2012 | SOMERSET, WI | K-Sun Corporation will be among more than 100 exhibitors at the Electrical Wire Processing Technology Expo held at Milwaukee’s Frontier Airlines Center May 9-10. At what organizers call the nation’s largest wire processing show, K-Sun will showcase its label printers, label makers and labeling machines, including the new GREEN MACHINE®, an eco-friendly and technologically advanced label printer system that has received numerous accolades in new equipment competitions. K-Sun will also showcase new labeling supplies designed specifically for the wire/cable market, including White on Black Heat Shrink Tube, Black on Reflective Yellow, Black on Reflective White, Strong Adhesive in Black on White and Black on Yellow plus new sizes of Black on Photoluminescent and Black on Orange. For the first time, the 12th Annual National Electrical Wire Processing Technology Expo (http://expoproductionsinc.com/wire_home.htm) will co-locate with the Electrical Manufacturing & Coil Winding Expo 2012 and offer with cross-over events and admission for attendees. Last year, more than 1,700 people from 45 states and 15 countries campaign attended. Since 2001, the NEWPT Expo has been the exclusive showcase for the latest technology for the electrical wire harness, wire & cable processing and related industries. The event brings together more than 100 global suppliers of equipment, instruments, tools, materials and supplies used in wire and cable harness assembly, inspection and repair with industry buyers and representatives. Founded in 1978, K-Sun Corp. offers a line of exclusive stand-alone and PC-compatible electronic label printers, software and supplies used in wire/cabling, laboratory, hospital, industrial, manufacturing, research, safety, law enforcement/EMS, engineering, construction, utilities, energy, transportation and other industries plus offices, warehouses and shops across the world. More than 100 colors and sizes of K-Sun LABELShop® tapes are made of a durable polyester base with an industrial-grade acrylic adhesive. Heat shrink tube is made from an industrial-grade polyolefin base material. LABELShop® tapes and shrink tube materials are designed to be printed with the durable resin thermal transfer ribbon process for UV, scratch, fade, chemical and smear resistance. All tapes have been tested to withstand extreme temperatures (0 F - 302 F/150 C), outdoor conditions (10-year life in direct sunlight), abrasion and pressure. Tapes are flexible for curved surface labeling, and adhesive can adhere to itself for wire tabbing/flagging. The tapes comply with ANSI/TIA/EIA-606A standards and shrink tube materials complies with UL 224, mil-w-23053/5 class 1 and 3 and mil-IR 46846 type V ratings. K-Sun also carries iron-on fabric labels and self-laminating overwrap for wire/cable application. Cartridges are recyclable through K-Sun, and a portion of the cartridge housing is made from recycled plastic. For more information contact K-Sun at 800.622.6312, visit http://www.ksun.com or email to info@ksun.com.